When Raja Harrison, Lieutenant of the Alaskan Tigers, rescues Bethany from kidnappers, nothing will ever the same. It should’ve been an easy rescue, instead he finds she’s not only injured—she’s his mate. He’d always believed his job was too dangerous to risk having a woman in his life. Now Bethany threatens what’s left of his fragile control. A rogue shifter wants Bethany Thompson and is determined to destroy all she holds dear, along with the tiger shifter population. When she’s kidnapped and beaten, her whole world tilts on its axis. The shifter problems now are her problems as her family secret comes to light. Can Raja and Bethany join forces with the other Elders of the Alaskan Tigers to bring down the rogue shifter—or will the rogue destroy all Raja seeks to protect? I am loving these tigers. 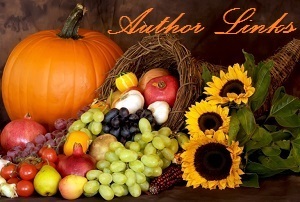 I read book one Tiger Time in the Alpha, Beta, Omega collection and was totally hooked. Now I have caught up on the entire series of eleven books. I will be reviewing them individually here as my schedule allows. Bethany won a trip to Alaska, her dream vacation and she is determined to make the most of it, including going to a nightclub something she normally wouldn’t do but promised her sister she would. Then she is kidnapped by the resort’s ski instructor. A video sent to Ty and Tabitha has Raja rushing to save her. He arrives to see her captor smash her knee with a pipe. Unable to wait for backup he charges in to save her. After getting the information that Pierce (the rogue who wants Tabitha dead) is behind the kidnapping he snaps the man’s neck. Approaching Bethany carefully she still backs away and passes out from the pain. As he lifts her he discovers something he never expected, she is his mate and human. As Bethany wakes up from knee surgery Raja is with her and when he touches her they both get that electrical shock-like tingling of true mates. But before he can tell her about that he needs to tell her what he is. This is a favorite scene. “Yeah. You’re stuck with me now.” He handed her a glass of water. “Prove it.” Challenging him, she was beautiful and formidable even with her injuries. “Now?” Raja asked, confused that she wasn’t demanding he take her to the nearest airport. Shouldn’t she be freaked out about this or something? “I’m not mental.” He growled at her. For the first time in days, he let his inner tiger spring free. He usually saved his shifts for his evening runs, allowing the tiger the freedom they both wanted. Letting the tiger out invigorated his soul. Doing as she asked, his body shifted and reshaped into the tiger form. Relief banished his discomfort and anxiety. On four legs he experienced only freedom, as though his human form were a tight pair of shoes he wanted to slip out of. Shaking out his coat, and tossing away what was left of his shredded clothes, he padded over to Bethany, nudging her hand with his nose. He studied her reaction, expecting to see horror and found only wonder. Her eyes lit up with excitement, instead of the panic he had imagined. He purred, delighted and relieved at her response. Raja wasn’t sure how long they stayed like that. He was perfectly content in his tiger form, with her rubbing his head. He felt almost like a big housecat as he leaned against the bed and let her pet him while she chatted on about her father’s stories. Shadow’s scent drifted up the hallway and he turned to face the door, ready to defend his mate. “What is it?” Shadow stepped in. “I brought you a pair of scrubs. It’s all we have down here. There’s an emergency meeting in the conference room in ten minutes. Tabitha and her guards are on their way.” She set the scrubs on the chair before hurrying away. Dobson, Marissa. 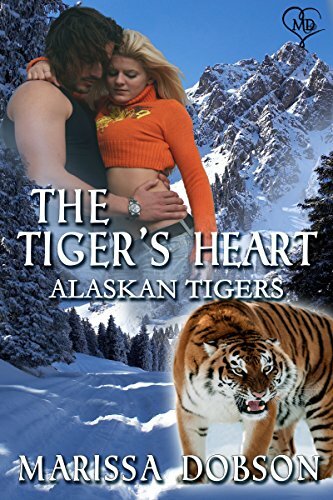 The Tiger’s Heart (Alaskan Tigers Book 2) (pp. 63-66). Sunshine Press. Kindle Edition. 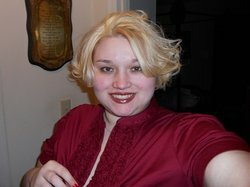 Bethany has to endure far more than just her physical pain as this story continues, a video is delivered from Pierce showing him killing her family. This starts a new level of investigation for the tigers. We meet many new shifters in this one. Bethany’s Uncle James, Shadow becomes head of Bethany’s guards. Lucas’ brother Alex the Alpha of the West Virginia Tigers and Taber from the Bears. A new healer arrives Galen after he has a dream and the Book show Tabitha more of what she needs to do. A lot of action and suspense as we get close to those involved with Pierce and the traitor Carter. I am enjoying this journey as Tabitha learns how to be Queen and to start bringing the tigers together. 5 contented Purrs for Marissa!